Model D10119 is the newest addition to our full line of high power, Radial Combiners & Dividers. 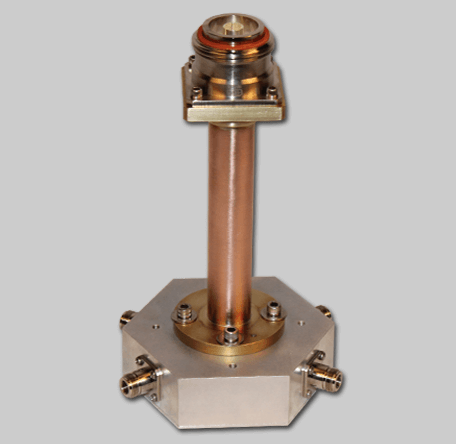 Ideal for Radar, EW, and Telecom systems, this 4-Way design is rated at 2000 W CW, and combines or divides a single stage through a radial transmission line structure. The D10119 generates low loss and requires minimal heat dissipation.